As an equestrian and all around athlete, I’ve taken a few tough falls and developed chronic pain as a result. After receiving treatment from a variety of practitioners over the years, and only having short term results, I wasn’t sure anyone was going to be able to help me to train and compete without pain. But after emailing and asking Dr. Notley some questions I decided to give it another shot. I’m so glad I did! The care I received from Dr. Notley for long term injuries I had was exceptional! Dr. Notley really made an effort to see me through every aspect of treatment with care and compassion, and treated me like a person with goals, opposed to “just another patient”. By taking an interest in my sport and goals, my recovery was more personalised and tailored to what I needed in relation to my injuries and sport. Before I knew it I was noticing improvements and was able to compete pain free for the first time in a long time. 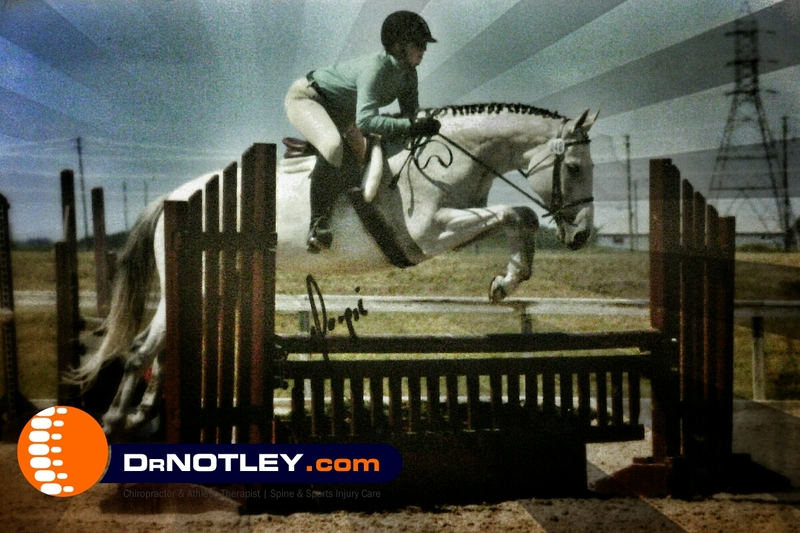 It’s great to know someone like Dr. Notley has my back (literally)! I would highly recommend him to anyone who is looking for a involved, knowledgable, and supportive Chiropractor/Athletic Therapist! Thanks again and again for all your help! This entry was posted in Testimonial by DrNotley. Bookmark the permalink.